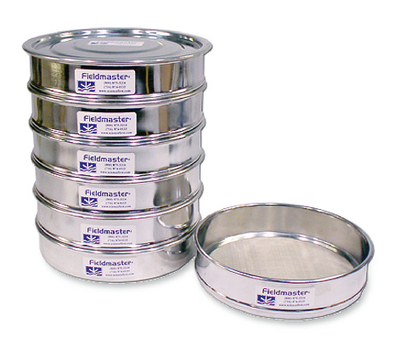 These economical stainless steel mesh sieves can be stacked together to help separate soil or sediment particle sizes. The set of six includes the following sizes: 4000 micron, 2000 micron, 500 micron, 250 micron, 125 micron and 63 micron. A lid and a catch pan are also included.